For parts storage I built some trays that hold tin-plated steel cans available from McMaster Carr. 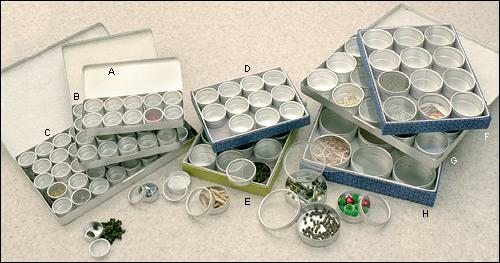 I chose shallow storage cans so that parts could be easily removed from the containers with tweezers. I chose a tray size of 12-3/8" x 12-3/4" which allows a reasonable amount of cans and does not take up too much space on the workbench. The 1-1/2" diameter can is good for resistors and capacitors, the 2-3/8" can for ICs and semiconductors and the 4" can for inductors, connectors and crytals. 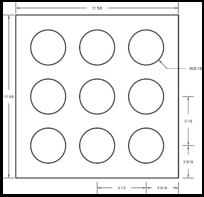 The main part of the tray, the plywood assembly, is built by fastening a plywood square with through-holes to the top of a plywood square without holes. Oak trim is attached to three sides of the plywood assembly and an oak front to the fourth. 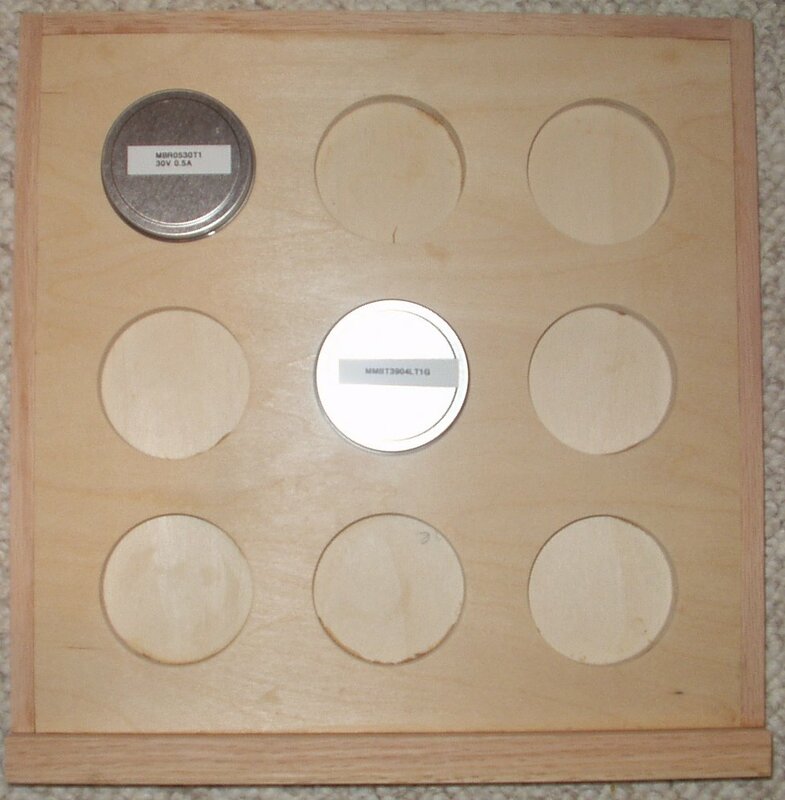 The tray for the 1-1/2" diameter tins holds 25. 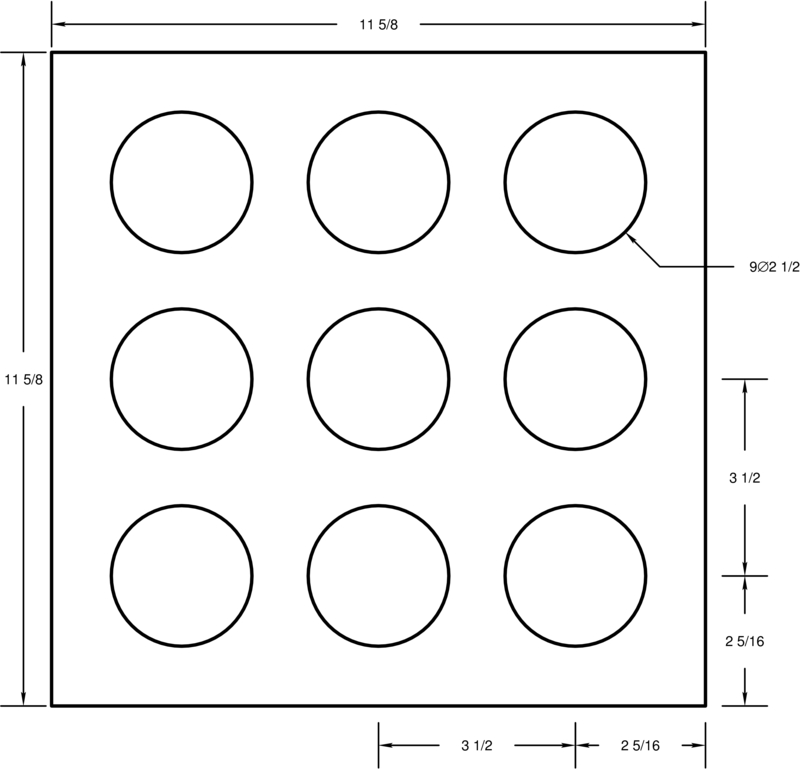 The tray for the 2-3/8" diameter cans holds 9. 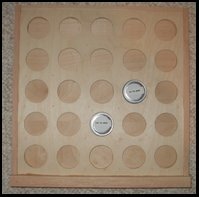 The tray is constructed out of two pieces of plywood and some oak trim. I used scrap plywood (Baltic~Birch) for the base. The trim is leftover sapwood from the oak tree that was in my backyard. 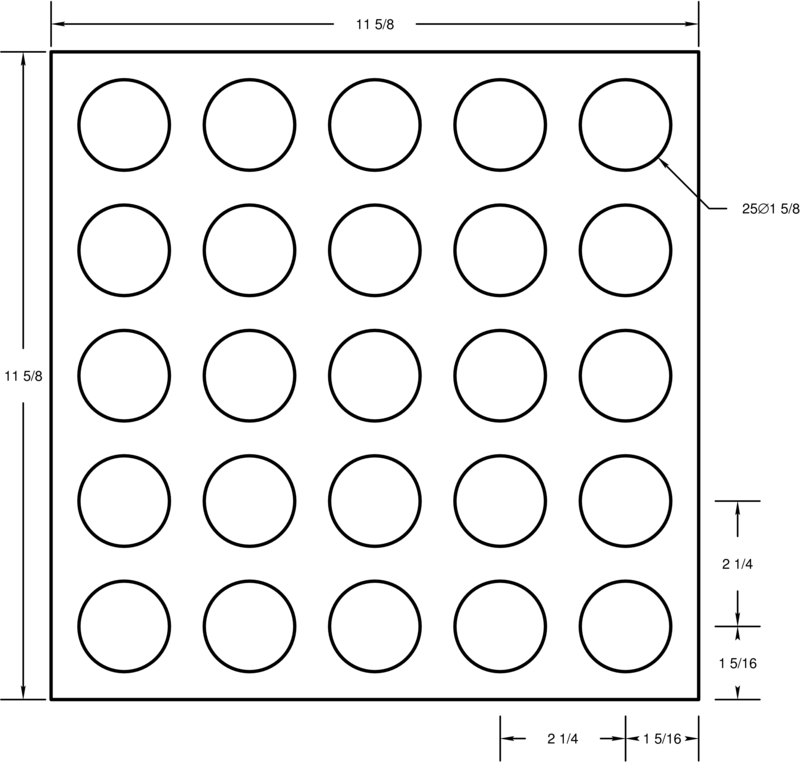 From sheets of 1/2" and 1/4" plywood rip an equal number of 11-5/8" squares. Tape the 1/4" squares together in a stack so that all of the squares can be drilled at the same time. 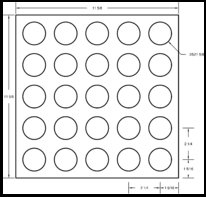 Drill the holes as specified in the fabrication drawing. Glue and brad nail each 1/4" square to a 1/2" square. Sand the edges of the plywood assembly to 120grit and remove the dust. Glue oak trim to three of the edges of the plywood assembly. I used 3/4" wide by 3/8" thick strips of oak. Glue an oak front to the uncovered edge of the plywood assembly. I used a 1" wide by 3/4" thick strip of oak. Sand the assembly, remove the dust and seal with Polyurethane. Tape the 1/2" squares together in a stack so that all of the squares can be drilled at the same time. Glue and brad nail each 1/2" square to a 1/4" square. Also available from Lee Valley . 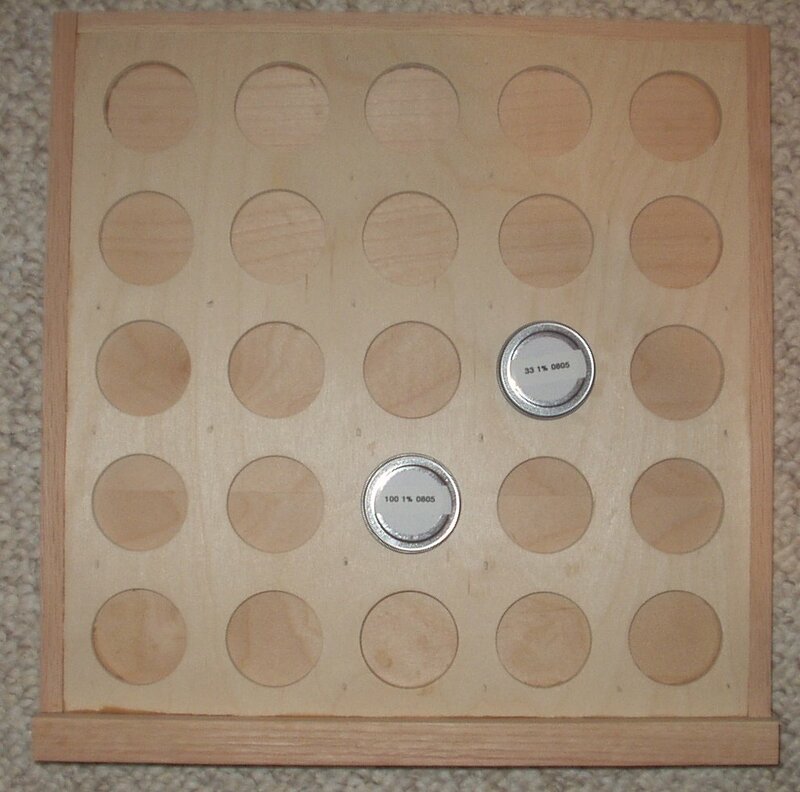 are these stamped steel trays that are designed to slide into a slot made from the kerf of a standard tablesaw blade. The trays come in heights of 1", 2" and 3" with prices between $7-$9.